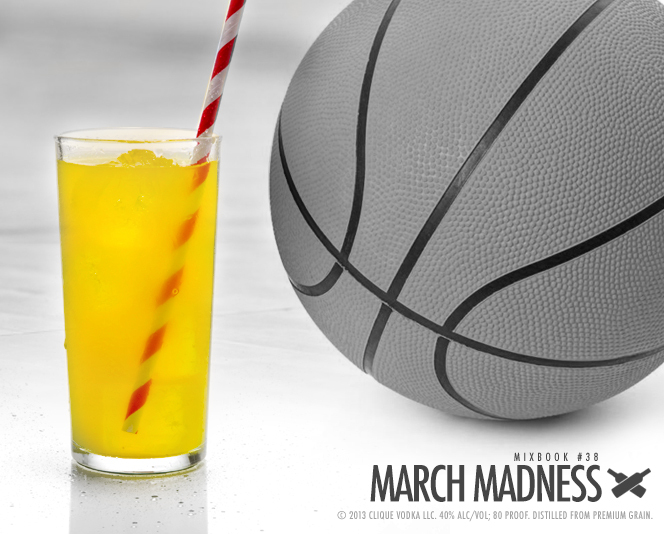 Get into the game with a “March Madness” cocktail using Clique Vodka! There are 16 college basketball games this weekend, so there’s no doubt in my mind that there will be a lot of grilling and drinking going on across the country. Of course everyone is optimistic that their team is going to be the one to bring it home this year, so why not make sure it will be a game to remember with this impressive, yet simple cocktail, “March Madness.” A simple infusion combined with all the electrolytes you need for gametime, take a few minutes this weekend to ensure the drinks for the championship will be a slam dunk. Grilled Pineapple Infused Clique Vodka may sound pretty fancy, but it’s actually very simple to make, in fact the hardest part is cutting the pineapple. Lay it down sideways and cut off the top as well as a very small slice at the bottom so you can stand it up straight. Using a sharp knife, slice off small strips of skin in downward motions while the pineapple is standing up, don’t worry about getting every little bit, you are not going to be eating it. Cut off 1 inch thick slabs off 2 opposite sides until you get to the core. Cut off the remaining fruit into square shaped logs. Head over to a hot grill and sear the pineapple pieces on all sides, just long enough to soften the fruit and leave some nice grill marks. Cut the pineapple pieces into 1 inch cubes, place them in a large clean glass jar with a lid and pour Clique Vodka over top. Give it a good shake 1-2x a day for 3-5 days, until it has turned a light golden color and smells sweet, then strain out the pineapple. When gametime comes around next weekend, just pour 1 1/4 oz Pineapple Infused Clique Vodka into a glass with ice and top off with 1/2 oz oj, and 3 oz of Gatorade brand Lemonade. 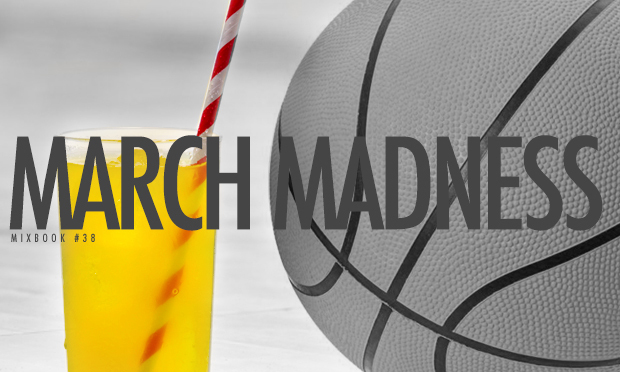 “March Madness” is so quick to make, you can refresh your drink during a quick commercial break, and still have time to send us one of your #CliqueShots of you and your pals enjoying the game!